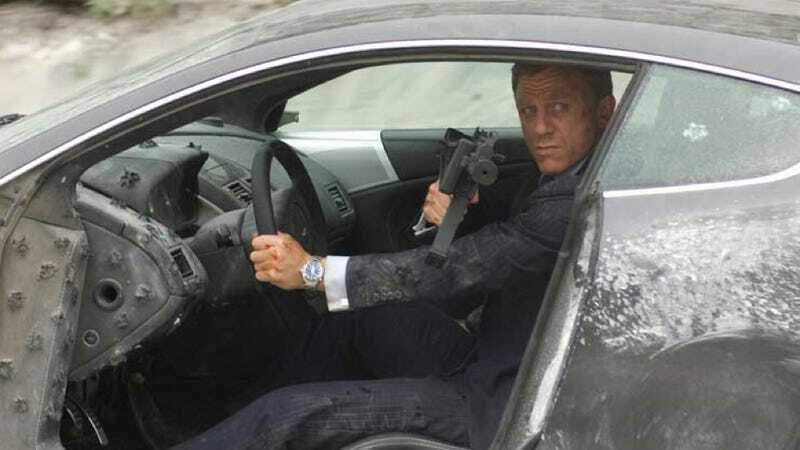 You may have seen Daniel Craig flip an Aston Martin as James Bond in Casino Royale, but that didn't convince the New York Department of Motor Vehicles to give the actor a driver's license without meeting all of the requirements they have of other foreigners who apply for one. Even though Craig was trained by The Stig from Top Gear before filming Quantum of Solace, he still had to take a written test, a five-hour safety course, and a road test, which was performed in Staten Island. The only bone they threw him was that he got to take the class by himself (either because the DMV was worried Bond villain might take the class just to attack him, or because they thought the actor's presence in a "normal" class would be distracting). Craig passed with flying colors, so if you see 007 flying past in a vintage Aston Martin on the Jersey Turnpike or something, you can rest assured that he's got a license for something other than killing.